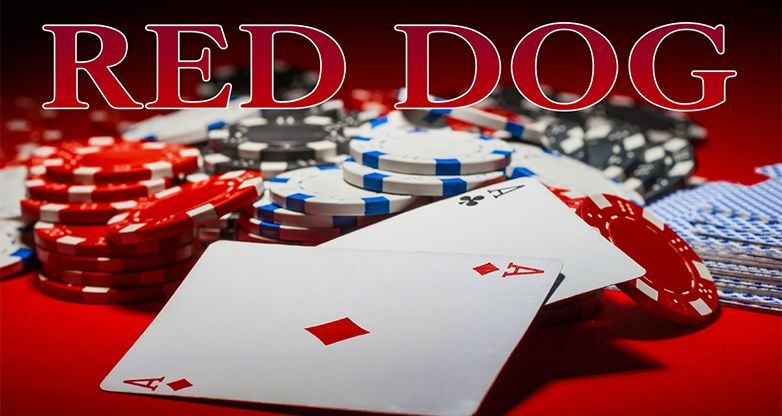 Red Dog is the game for those who are looking for something new. It definitely cannot be called ordinary. Dynamic and fascinating, Red Dog will surely suit your taste. The player does not only define the initial bet but also makes a decision: whether to up the stake or not. Be careful! In the beginning of the game you get two cards face up and an empty place for the third card between them. It is important how close these cards are in their value. It is called the distance. 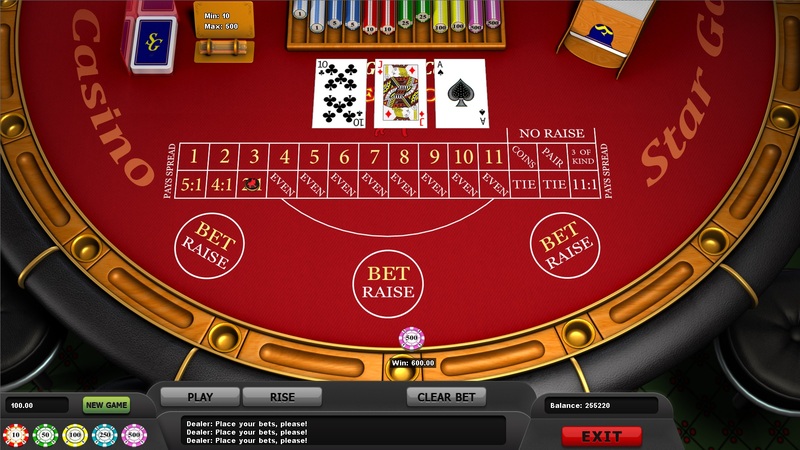 The outcome of the game is determined by the value of the third card. 1. If it gets into the distance between the two initial cards in its value, you win. 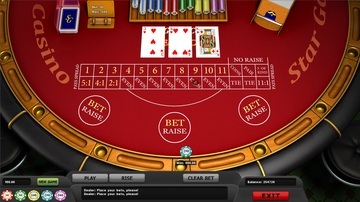 The prize depends directly on the distance between the cards. If it amounts to 3, 2 or 1, you will get the highest advantage in case of victory (2:1, 4:1 or 5:1, respectively). 2. If you get two adjacent cards, the third card is not dealt and the draw is announced. 3. If three identical cards are dealt, the highest advantage (11:1) wins. Try playing Red Dog and may luck be with you! 3. If three idetical cards are dealt, the highest advantage (11:1) wins.